Where is the best island in The Philippines? by Dave from The Longest Way Home ~ May 12th, 2009. Updated on October 11th, 2014. 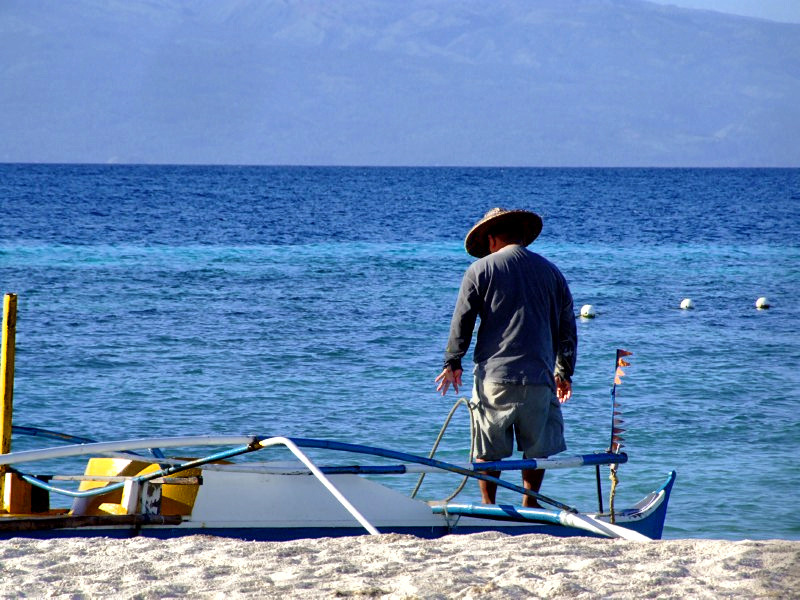 Published in: Travel blog » How to live overseas » Philippines. The Republic of the Philippines (to give its full name) is made up of over 7, 107 Islands. Give or take a few due to high tide and global warming. In fact I find it quite difficult to get exact details on what is actually considered an island in the Philippines. A sand bar, a hunk of sheer rock in the sea, or a place where you can actually set foot on. Knowing the Philippines quite well by now, I will take the latter on that one. I find the regions in the Philippines confusing and plentiful. Sometimes referred to as Regions X, III or sometimes it’s by geographical name Visaya’s, Luzon etc,. To make matters even harder this can then be broken down into Eastern, western etc,. areas. And, from what I can see all names and areas change depending on who you talk to in the Philippines and where they come from. Let alone look at a Lonely Planet map or Rough Guide map. For me I keep it simple. To the north is the large island Luzon (Manila, Sagada etc.) The Second biggest land mass island is Mindanao in the South (Davao, Cagayan de Oro, Zamboanga etc,.) Then in the middle are a plethora of smaller islands like Bohol, Cebu, Iloilo. And, to the west is a long strip of narrow island called Palawan. Either way I will make an attempt at trying to find a home in the Philippines. I don’t get that hit me on the side of the head this is home feeling I got in Nepal(previous blog post, opens new window/tab). But, Filipino’s do seem to be nice judging from whom I’ve met so far. 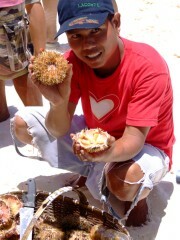 English is widely spoken, and I go against what a lot of travelers to the Philippines say and, admit I like the food. Well, at least most it anyway. 1) English: I’ve traveled many countries on my search. Language is a major barrier. While one can always learn a new one. It’s not always so easy to do, especially to the level of actually living and working in a place within a fixed time frame. At least not for me. 2) The People: Filipino’s are very friendly. They are also quite honest, and most are hard-working. 3) Cost: The Philippines can be more pricey to travel than the rest of SEA. But to live, it’s cheaper. Long term rentals, and food are very low. 4) Communications: Internet and telecoms are widely available throughout the country. 5) Climate: Not a big one for me as I am not a sit in the sun person. But many many people enjoy the year round warm climate. 6) Visa extensions: 2 Month extensions are readily available for over a year. And in many cases beyond. They are a little more expensive than in other countries but a lot less hassle. 7) Transport: is an issue as Ferries give me the creeps and flights are more expensive than the overland buses I am used to. But, it is well linked internally. So where and how will I choose the best island in my attempt at living in the Philippines? 1)I’ve already traveled the North of the Philippines. 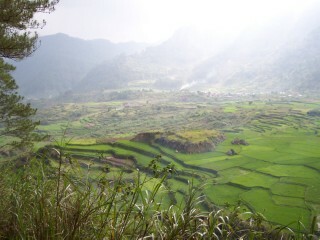 Here the air is cooler in places like Sagada or Banaue, the people friendly and the landscapes lush with mountains and rice terraces. 7)Then there’s the likes of Boracay A heavily promoted tourist spot whose prices are so out of touch with the rest of the country it’s hard to believe it’s possible. 1) I read my guide-book. And, took everything with a pinch of salt. But, things like ATM’s, internet, and costs were all noted down. 2)I went online and read forums like the thorntree and travellerspoint about places in the Philippines. Read people’s opinions and again separated out ego posts, novice posts, and expat posts. Read between the lines and took notes. 3)I read a few Filipino blogs from the various areas. Including some government ones. Here I got a feel for what local life was like. Again it was important to weed out promotion, personal feelings, and points of issue. This was one of the most valuable resources I found in the Philippines. English is widely spoken in the Philippines and Filipinos love to blog! They are all over the place. And yet few make it out to international recognition. Perhaps this is due to many living in the Philippines and not blogging about other places, but either way there is a tremendous resource made up of Filipino bloggers out there. Eliminating Islands one by one with my list of things I think I need to live there. I need a place that is rural enough so that the people are still nice. And not tapped into the money, money, money big city life of say Manila. This I’ve learned already in my travels to find home. Yet the place should not be too detached or remote so that I am living in a bamboo hut somewhere. This is impractical, and not for me. I want to be away from the mainstream tourist trade to avoid being targeted by every other tour tout, yet close enough to converse with other travelers. Bohol, Camiguin, and Palawan all ranked high for these. With Bohol slightly lagging due to its high number of tourist sites. Yet from Nepal I have learned that sometimes one can turn that to your advantage. There was one other thing that’s been annoying me. Friends and strangers alike keep mentioning the lure of living on a deserted or is it desert island. The idea of isolation, tropical beauty, living off the land and life of paradise seems to appeal to most people in the west working 9-5 jobs. Or is that now 8-9 jobs these days?? And so I felt the urge of putting this constant peer pressure and small amount of self questioning to rest. I chose Palawan. It’s got remote locations, (google maps still haven’t picked up on it very well), it’s got a main city which has the only ATM’s on the island. From forums I can see that it’s a lot cheaper than expats and locals make it out to be (taking a small risk here). It’s got an immigration office. A tourist trade. And plenty of beach and mountain locations to keep me busy. My main issue before getting there was that I’d heard electricity was bad, but I’ve lived without before. Just about everyone tells me the roads are the worst in the Philippines. And I was concerned about the internet and being bored as I’m not much of a beach person. But Palawan is the chosen place. A short flight from Manila and the start of a few phase in trying to find a place called home … Will Palawan be the best island in the Philippines?